Why do you camp? What about the experience do you enjoy? That is the question that is answered today, by guest post blogger, Mark Wilton. He shares with us, the reason's behind his family camping and the importance of getting away from it all. If you would like to share your story and photos, then at the bottom of this story, you can find out how! What do you love about camping ? What is the timeless appeal of getting out of your house and making the trek to the bush or beach and setting up camp ?. “Camping” means different things to different people. For some it’s as simple as a swag, for others its a van or even an RV (yeah, I know what you're thinking, and I reckon that's pushing the definition of camping to the boundary too). For me, there are a few reasons mainly centered around my son. Pass on the wonder of this land to a new generation. It is my goal to ensure that my young boy gets to experience this amazing land while we can still access much of it. There is something primal and enduring embracing its seasons and its harsh beauty. Experiences here (good and bad) can be valuable life lessons: common sense, planning, flexibility, resilience, mateship... the list goes on. 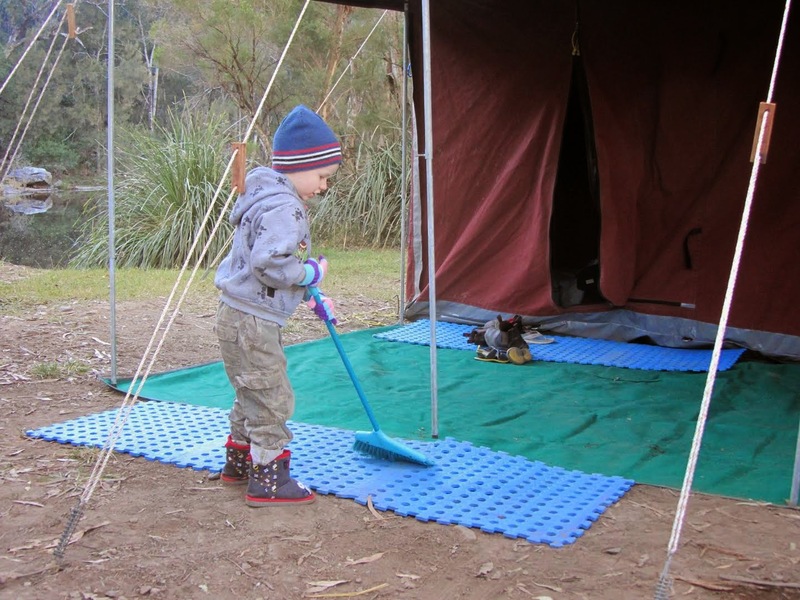 Camping means he gets to see places not many people go; for example we crossed through the Simpson Desert last year. Whilst seeing the wildlife, he also got to see harshness of the Australian land. He saw the vast skies and endless stars of the night. My son at the age of 6 has a level of confidence and social ability I would have been envious of at his age. On long camping trips where we were only staying at places overnight he quickly learnt to find a new group of “best friends” as soon as we finished setting up camp. This ability to make new friends and mix with strangers meant a smooth transition into school this year. When camping, he has the freedom to explore and play that we don’t feel safe to do in our urban lifestyles. This enables him to make decisions and be independent. For me personally, its about getting out with good friends (or making new ones), changing the routine, recharging the soul. This is easier to do while camping as the meaningless demands and deadlines of the minutia of life are replaced with only a few key decisions a day (is it time to have a coffee, is it time to eat ?). This enforced slower pace allows you to focus on the rhythm of life and you begin to notice more of nature. The lazy buzzing of insects, the way clouds move and change, the rustling of scurrying mammals, things that are usually blotted out by the background noise of our busy lives. A campfire can be hypnotic, watching the flames leap about brings a peace to the soul, similar to listening to the waves crashing on the shore. My personal love of camping is to get up early before everyone else and watch the world come to life for a new day. The serenity of a dawn kayak across the misty water, the satisfaction of finding a glowing coal in the campfire from the night before and restarting it, bring it back to life. Ahhh..yes. It's the little things in life that make camping worthwhile...as it should be. What do you love about camping ? Share your story on this blog. To find out how you can be featured, get the information here. Mark lives in Brisbane with his partner and young son.